Been extremely busy in Japan! So busy, I didn't have time to post illustrations up here. 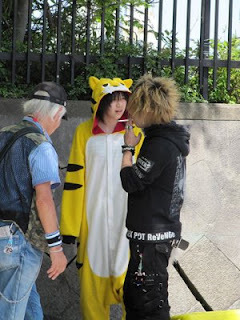 But you can view some photos from Akihabara and Harajuku as we went to Tokyo for the weekend! This is an enormous temple near Harajuku. The width of those 'tori' (posts) are huge! A lot of weddings are held here. 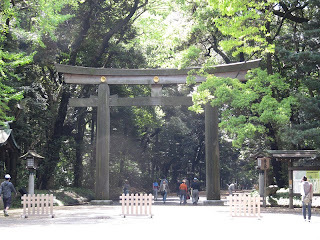 There was one going on when we visited as well as a birth ceremony! 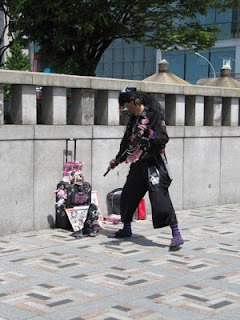 Right after walking through the park and the temple, you start to see the usual people that hang around Harajuku. This guy was off to one side of the bridge and.. I'm not sure what he was doing... BUT, a vast difference from here and NYC, is that these guys don't put any hats or cases out to receive money. They just want to be seen. 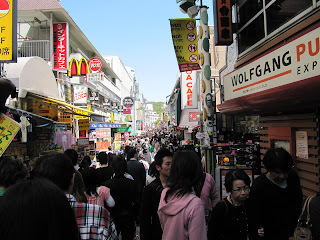 This is the famous street to walk down from stepping out of Harajuku station. Because it's Golden Week, this is a VERY crowded area! Look at that mass of people!! 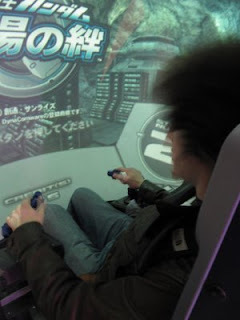 We stopped at Akihabara for video games. I could go into great detail on the amount of toys and gadjets available but it'd take too long!! 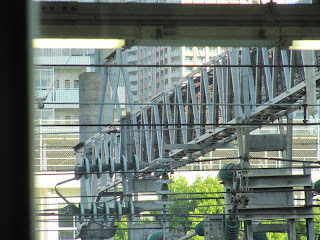 Some of the great industrial work that I really love in Tokyo. Even if it's just wires and metal, I was highly influenced by stuff like this that led to conceptual sci-fi. 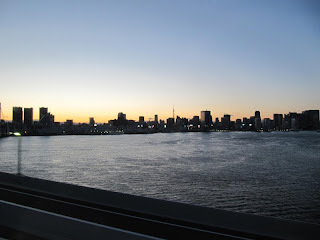 A nice shot of Tokyo from our bus as we left after a very wonderful weekend. I'm sure we'll visit again soon!